Leeds digital agency, Bolser, is celebrating being commissioned by AIG Life Ltd, the UK subsidiary of leading global insurance company American International Group, Inc. (AIG) to deliver a new website that will incorporate AIG’s recent acquisition of Ellipse. Bolser delivers marketing and communication strategies for national and international clients with a particular emphasis on digital, web and mobile marketing. 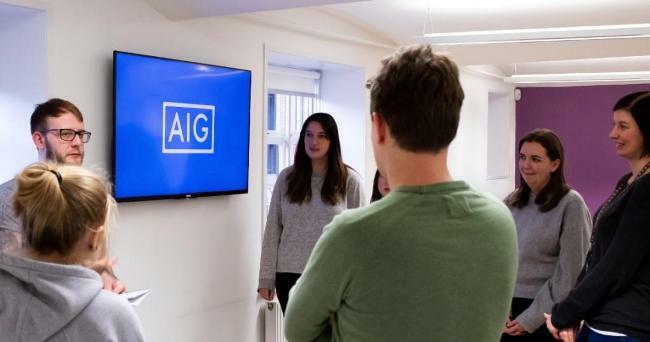 Following Bolser’s successful relationship with big names such as EE, KFC, Xbox, Taco Bell, Battersea Power Station and Microsoft, the award-winning digital agency is looking forward to adding AIG to this impressive list. AIG Life Limited, a specialist protection provider in the UK, distributes group and individual protection insurance products to consumers through financial intermediaries, employee benefits consultants and partnerships, to provide financial and practical support for individuals, families and businesses when illness or injury threatens their life, lifestyle or livelihood.